The 'up' direction exit from Croes Newydd joined the mainline at Croes Newydd South Fork, where there were sidings on both up and down sides. 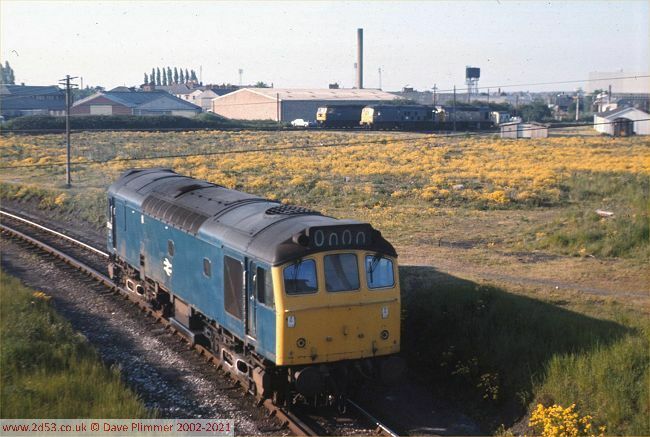 On the 27th May 1977, 25154 runs light engine round the south curve at Croes Newydd, on its way towards Croes Newydd yard. In the background, 24081, a class 25 and a class 47 stand in Croes Newydd Holding Sidings alongside the north curve. (24057 was also present, out of sight to the left). The triangle of land enclosed by these curves and the Wrexham to Shrewsbury line (out of shot to the right) was once the site of Croes Newydd steam depot. On the mainline, 24063 pauses at Croes Newydd South Fork to shunt coal wagons back into the Down sidings. 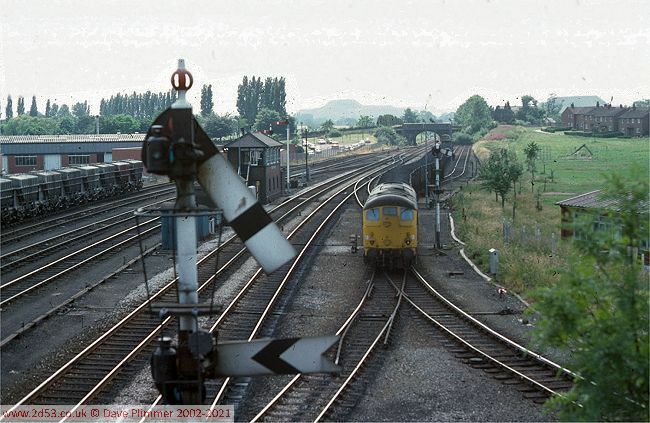 The signal box is seen through the road bridge, as we look south towards Shrewsbury. 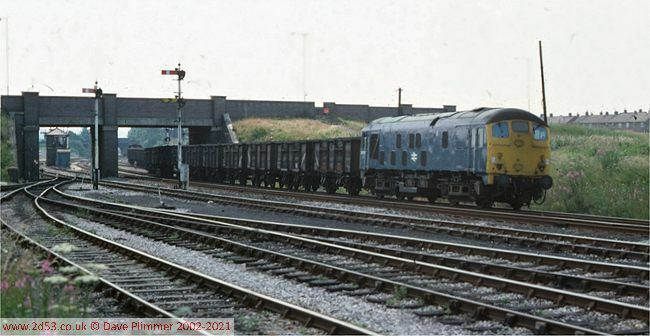 This is probably 8F46, the 10:09 from Bersham Colliery to Shotwick Sidings, conveying coal for Shotton Steelworks. The lines on this side of the main line form Wrexham Watery Road Goods depot. 15th July 1977. 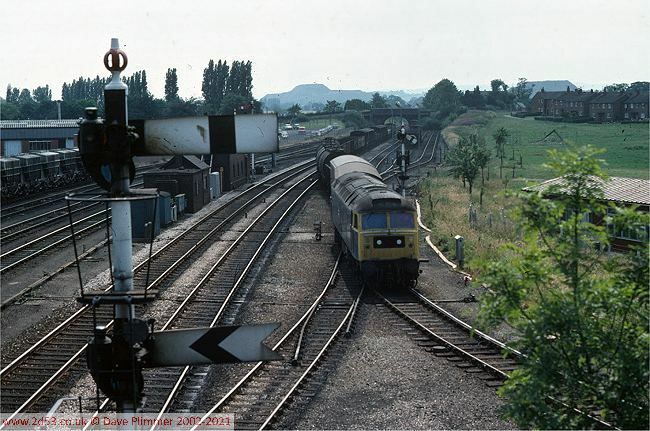 Another view of the same train as, having deposited 6 MDVs and a brake van in the sidings, it continues back onto the main line towards Wrexham General and the connection to the Dee Marsh Jn line. Almost immediately after the previous departure, 47244 arrives with 7M01, the 08:55 Severn Tunnel Junction to Walton Old Jcn freight. This is routed over the south curve to enter Croes Newydd yard, where it was due to arrive at 13:39 and depart (over the north curve) at 17:48.